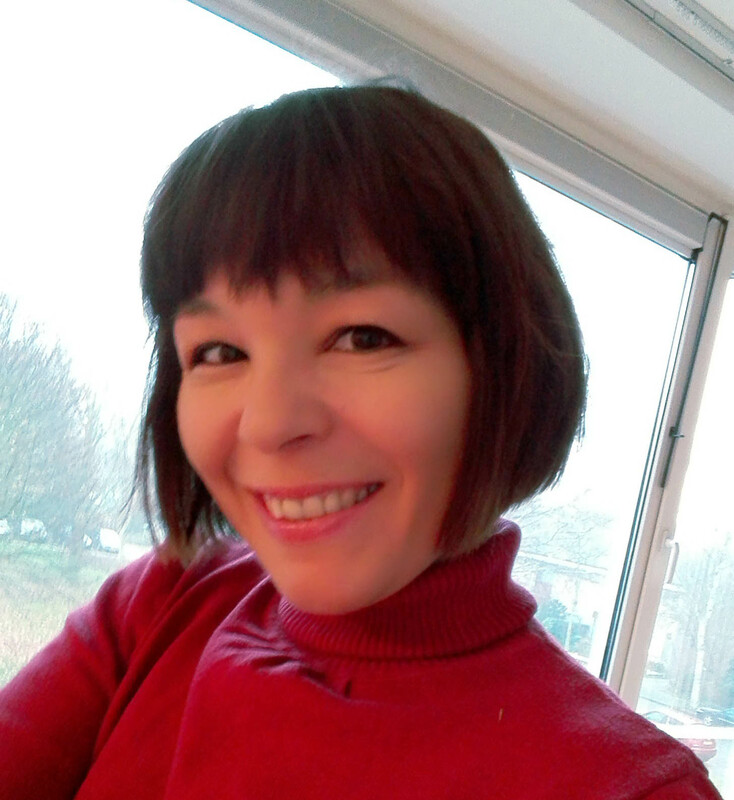 February 18, 2017 by Maja Todorovic, posted in Business in Rhyme, Write, create, innovate! This post, and the thing I experienced today is a perfect opportunity for me to write about patience and emotional resilience. I actually wrote this post few days ago, but I saved it on my desktop, for further editing and my laptop crashed. Yep, and with it the first version of this post, which I liked much more, but of course, I didn’t back it up, so we are patient and writing again. I hope I’ll manage to express clearly enough what I want to say. Life consists of many little moments like that. Situations and people we encounter on a daily basis and how we are able to deal with them makes all the difference. And talking about my self – well I’ve never been a champion in mastering those things. Actually I’m quite short-tempered. A quality that I’m not very proud of. It’s not that I enjoy any kind of quarrel or verbal conflict, but I am very passionate person (in both good and negative way) and it has impacted my life on so many levels. When I believe that I have arguments to defend my case, people can find me too assertive and not very approachable. Especially at work, no matter how you are right (or believe you are right), you need skills to manage situation in such way not to go against your own interests, and when you are under pressure, imprisoned by deadlines and other shortcomings – diplomacy is not the first word that pops up to your mind. When you are emotionally charged up and you let yourself fall into dispute, you are not hurting only the other person, but most importantly you are hurting yourself. And it doesn’t serve you at all. I’ve been writing poetry on daily basis now for almost three years. And people have been telling me about subtle changes they noticed in my behavior. Positive changes. And I know I worked hard in last couple of years to improve my lifestyle and habits, but this particular I do believe has a lot to do with writing poetry. My colleagues have noticed a that I deal with stressful situations more efficiently, with calm and ease. And when I think more clearly about what they imply to is that instead of reacting to situation, I’m taking my time to respond to situation. I am able to step back and analyze it from different angles. I’m not attacker and I’m not a victim. I am observer and from that vantage point, I deal with problem with much care, taking into consideration other side’s point of view. Writing is like dumping whatever emotional load I could be holding on to, which leaves the space for clarity, compassion and understanding. Or sometimes when I write poem about the situation, it turns on a humorous tone, which makes me laugh and immediately lessens the tension in my body. And in some other instances..it’s quite interesting. I for example don’t like any type of waiting. In the supermarket, for public transport…what ever it is. I always try to find some shortcut. I might walk instead of waiting, go late in the evening to buy stuff…but you can’t predict and control everything. For New Year’s I went to Belgrade to visit my parents and of course there were many people traveling. Amsterdam’s Schiphol airport is one of the largest in Europe and you can imagine how it can get crowded during the holidays. It was so congested that I waited more than hour to pass security. In previous times, it would probably freak me out, but this time I enjoyed watching people, their characters and thought of dear friends I haven’t seen in a long time. Writing poetry teaches me to understand the world as it is, without judgment. In such way, you are more flexible to adapt to current conditions instead of trying to mold everything to fit your scenario. And believe me, it is so liberating! The best advice I can give you is try to use your daily writing habit to relieve stressful thoughts and feelings. Use it as tool to connect with yourself, honor your most deepest and honest feelings. It will empower your emotional preparedness, clarity, understanding of you current experience and most importantly, it will bring you moments of peace to restore you energy in the crazy and hectic world we live in. Probably you have encountered yourself thinking that what you wrote was not good enough, that nobody would like to read it, ext. And as writers we all have that moments. It’s so easy to let that moment overpower us – just let it flood us with self-loathing about our own skills and capabilities. But today I want to offer you a different perspective on your writing and tell that anything, any word you write has value and it’s not your waste of time. Your writing has value because it’s inevitable part of your own self-exploration and the way to know yourself better. Each writing session is actually part of something much bigger, a pattern, a recorded reflection of you in particular moment in time. It doesn’t matter do you write a novel, an article, or purely stating your opinion and commenting on someone else’s work – it’s part of you. And anything that is coming from your own sincerity and open heart has value. What you write at this moment doesn’t have to be perfect. Probably this exact information you are reading can be written in better style, using better words (especially concerning that English is not my mother tongue), but still you can understand the encouragement I want to give you here. And that is what counts, the message and intention behind it. Your writing has value because it’s part of the process where you improve your writing skill and you ‘calibrate’ your writing voice. 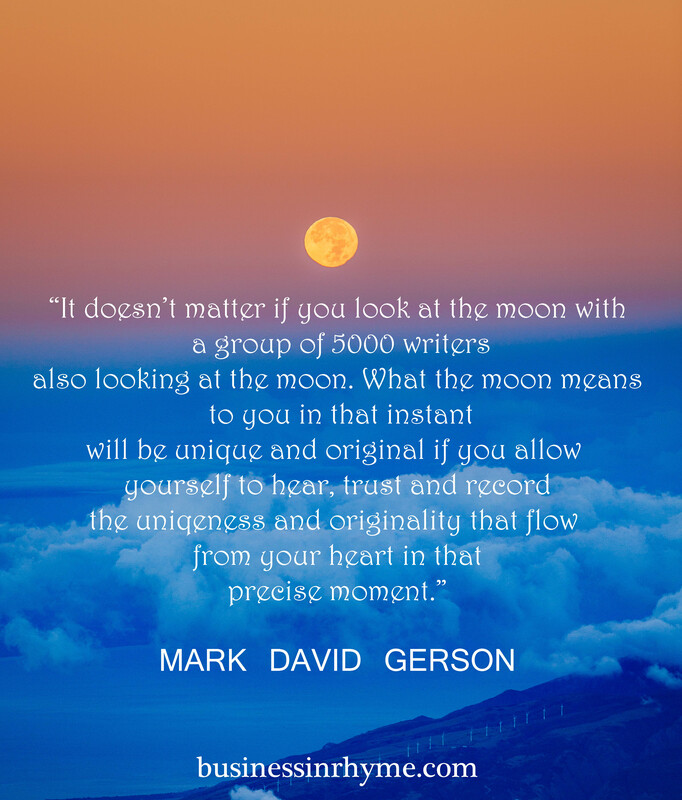 As long as you trust your authenticity your writing is original. The way you select and arrange words – especially in poetic writing which is so sophisticated, each time you write poem you are discovering your specific writing expression. It’s unique just as your finger print – you learn to use the words to best express your nature, personality, opinions, belief system and anything you stand for. Your writing has value as it teaches you to be more mindful of your thinking and stay present in the writing moment. Each poem or paragraph you write doesn’t have to be approved by editors, experts or published in high impact journals in order to be of value. You write what is true and real for you in that exact moment. While we progress with writing, as it changes so do we. At the beginning of my writing practice I used to write long prose-poems, where I needed a lot of space and words to express myself. As mindfulness begins to dominate my writing lines, so my writing becomes simple and clear. You probably also can relate to this: compare your early works with something you recently wrote and you will see how your poems/writing is more coherent, straight to the point and purposeful. These are my top 3 reasons why you should keep writing, each time you start to doubt and feel discouraged. There is no word, minute or paper wasted. And probably the 4th and most obvious (and important) reason that I didn’t list above it’s because it simply brings you joy and fulfillment. Yet, I focused on another crucial elements that most people don’t recognize and easily overlook. These are my three reasons giving me that push I sometimes need to write and commit myself to get the words out there. Trust your yourself – your writing has value. September 23, 2016 by Maja Todorovic, posted in Business in Rhyme, Read, write, lead! As opposed to the most popular post on this blog ‘Why people don’t like poetry’, I have compiled according to my so far done research a little, simple (yet cute, you have to admit 🙂 ) infographic about beneficial aspects of reading poetry. Many of us do like reading/writing poetry and we all know that it goes beyond pure use of certain words and language functions. I think this is especially interesting to the newcomers to this blog and how they are not that much acquainted with the previous work done, here are also links of the specific posts leading to creation of this infographic. Please, feel free to share this info as we together can inspire more people to make poetry essential part of their lives. Today I want to talk about why you need to be selfish. We all need to be selfish, but in a healthy, unconditional way – not capriciously neglecting others. What I mean is that in many situations, we dedicate our time and energy to others and fulfilling other people’s needs while completely forgetting to take care of ourselves. And we can lead our lives in such manner for some time, but it’s not sustainable. 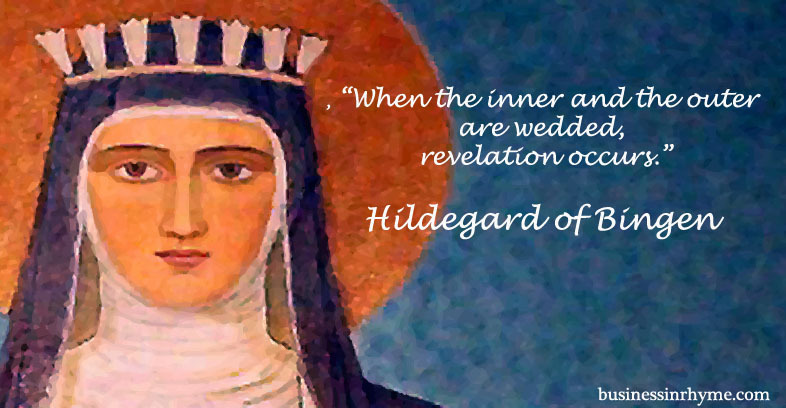 Dissatisfaction, disease, stress will silently crawl into our lives and we will start to wonder: Where did I go wrong? I do believe that we all need to have that little time in a day when we only focus on ourselves and our needs – when we practice self-nurturing. That can manifest in many forms: eating healthy, exercising, having a meaningful daily/morning routine. These little acts of self-love can recharge our whole being so we have more energy, ideas, creativity and even time to share and be of valuable service to others – being that family, our job, community, sharing our creativity through hobbies. It doesn’t matter. Being mindful of our own needs and why we want to fulfill them is what it means creating positive experience and fertile soil for desired impact. And now you might ask, what does poetry has to do with it? Well, some time ago I wrote how poetry has that restorative power and how it can help you in reconnecting with your own true self. It can help you in your creativity, meditation. But it does go further than that. 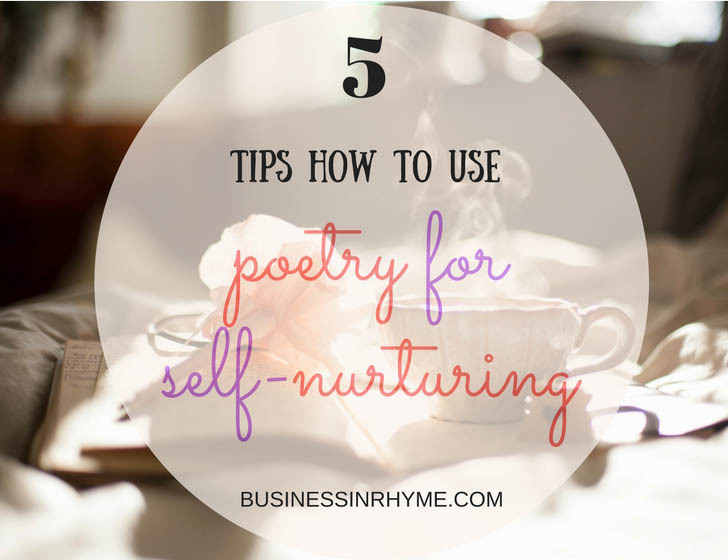 Here I share my 5 favorite tips on how poetry can help you in your self-nurturing practice. 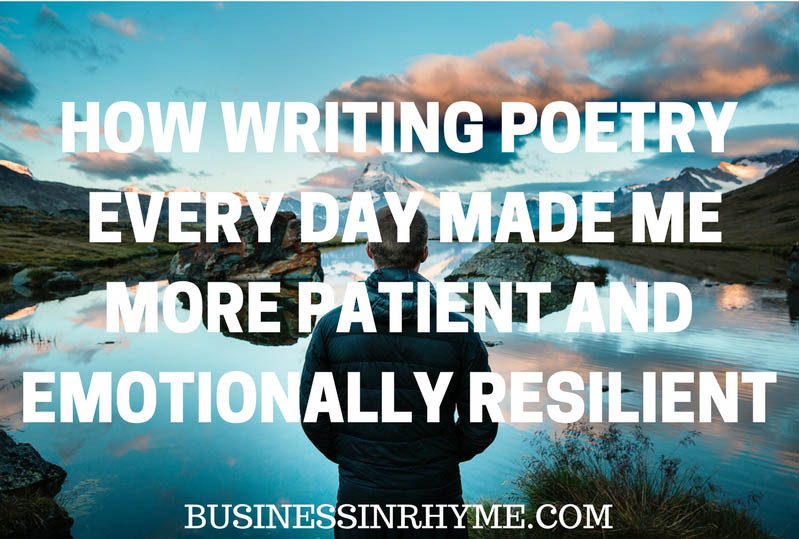 Words and rhythm you put in your poem will not only help you reinforce the healing power of poetry, but you will be able to come down to the root cause of your feelings, which is the first step in your recentering and addressing what’s been bothering you. and have paper accept everything you want to release: being that negative feelings like resentment and anger, to stuff, people and relationships you believe are not beneficial to you and your self-growth. Use this writing prompt as an opportunity for self-reflection and analyse what’s the excess in your life. Once you write that down it might even spark some inspired action where you further simplify your life – by letting out what you don’t need you make room for new, constructive experiences to enter your life. And we all know that where our focus goes, that’s where our energy flows. We can use this in a positive way and instead of dwelling on what’s wrong with our life all the time we can take a look at what we have to appreciate. and continue your poem about hings you love in your life. What makes your life remarkable, different, what you are grateful for? It is such an empowering motivation that shifts your mind and actions to be rather grateful for what you have instead of complaining about what’s missing. We also as a human beings have tendency to be our worst and hardest self-critics. We have a habit of blaming ourselves for even situations that were not in our control and beyond our influence. Well, it’s time to step back and simply allow yourself to be a human being that makes mistakes, make wrong judgments and sometimes acts unaccordingly. is a writing prompt where you can pour your heart out and set your self free of any guilt, past decisions, choices you made and simply accept your quirky, unstable but beautiful nature. Start your poem with these simple words and focus your thoughts on what you would like to attract more of in your life, what to experience. Don’t contemplate on why and how, but how it feels, indulge all your senses and let your imagination do the rest. This is similar to visualize with words exercise, I recommended sometime ago, but here don’t play around with specific goals, but more with feelings you would like to invite in your life. This writing prompt will further help you in your future decisions to have more patience with yourself, to be kind and gentle towards what you think is right for you. It will also help you sharpen your intuition and act from that deeper knowing what’s good for you instead of what’s right thing to do (according to other people opinions). In the long run, we all strive to achieve that peace with ourselves and listening to our inner guidance is the only sure way to reach it. How do you practice self-care? Please share in the comments below. If you liked this post please share! And if you are interested in getting more inspiration for your creativity, sign up for our free monthly newsletter. It takes courage to spend time with yourself and dig deep, to the darkest and scariest parts of yourself and let them shine through your poems. Only very few are brave enough to go somewhere place quiet, shut down the noise of the outer world and start listen to themselves; to hear who they truly are, and with open heart receive what ever they encounter. All experiences full of disappointments, grief, hurts, desires and happiness live and expand in each of these verses that we can read in the poems of those brave enough to write about their feelings. And they give us opportunity to live them also. It takes courage to accept who you are and be honest about it. Poetry is so personal on the one hand and universal on the other, that you simply can’t fake it. In every poem, your writing is like stripping your soul to the bare bones, where you become even more vulnerable. But that doesn’t make you anything more weak – that brevity adds up to your uniqueness that world is hungry for. It takes courage to write, despite all the negative connotation that majority of people hold against poetry and simply not to care. For me, poetry expresses more about what it is like to be alive in the world today than any other art form. For a poem to work, it needs to address matters of the heart and of the head in almost equal measure. Since there is no interference between the reader and the text, poetry can deal with emotions in an intellectual way, and deal with abstractions in a way that evokes feelings. It does take courage to try writing poems, especially if you are going to share them with others. Students also have to be willing to enter an unknown territory, even if I give them an assignment to write about, or a form, like a sonnet, they still have to find their own way into the subject matter. There is no real blueprint for how to write a poem.. It takes courage to write poetry and constantly juggle between loving and hating your own writing. There are days when writing for you is like breathing – that without it you simply couldn’t live. But there are also days when you are unsatisfied with anything you write and you simply need a break. And that’s completely O.K. Actually that distancing yourself from writing can reignite your passion and it takes courage to do that also. Poetry is everywhere, it just needs editing. is what James Tate once said, and we are not even aware how much truth there is in those words. All these aspects, contribute to forming one, in my opinion, a divine process that happens while you write poetry. It shapes you into a person you are supposed to be, the writer you strive to be. And for that kind of growth you do need courage – to accept your weirdness and just enjoy the ride. April 30, 2016 June 23, 2016 by Maja Todorovic, posted in Business in Rhyme, Read, write, lead!, Write, create, innovate! We all know how change can be scary, wanting from you to let go of your previous beliefs and habits and pushing you out of your comfort zone. It’s a work you have to do on your own and there is no right way on how to embrace change on your growth journey. I often like to say that we will meet success in life, once we are able to master ourselves. Becoming too much immersed and attached to our ego can transform into a real hinder and obstacle on our path of self-improvement. Once we are able to conquer our mind, the self-awareness of who we truly are begins to expand. The motivation and inspiration behind the process is unique, personal and for that purpose we can use variety of tools. Hence plain reading text-books and taking workshops will do little unless you become really motivated and inspired to take a leap towards positive change.Poetry can be noninvasive tool that in one non-judgmental manner helps you improve your life. It can improve your creativity, decision-making and you can become even more empathetic. When you are inspired by the poetry you read, when you write your own thoughts, change occurs silently, unnoticeably removing fear, bringing maturity to personality at all levels. That’s why I think that it can be a better approach to self-development than reading self-help books and learning lessons like at school class. Find inspirational poems and read them as often as you can. Select about 5-10 poems that you like and that really ‘speak’to your heart. They should be aligned with your personal goals and what you want to achieve in life. Write them down in your notebook. By writing down the words, it’s easier for words to enter your subconsciousness, you are giving them life.You are already creating new experience while connecting with the words in a meaningful way. You can also write down any new idea or comment that comes to your mind while reading the poems. Find your own inspirational meaning. Read your poems slowly, absorbing in every stanza. 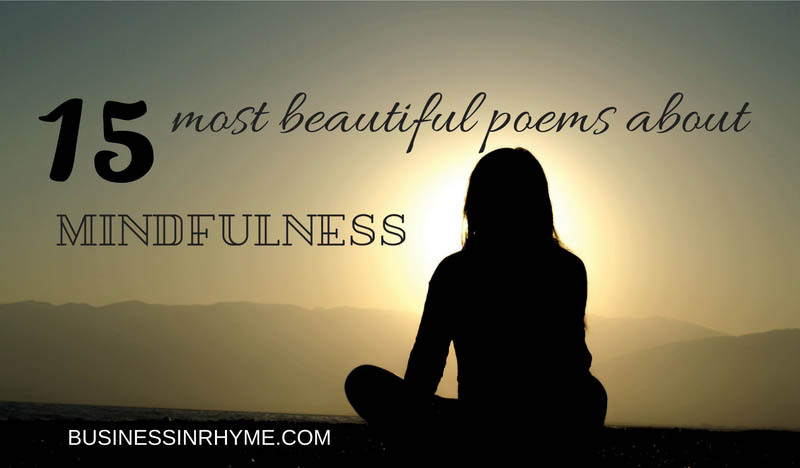 You can use those poems even for a meditation practice. 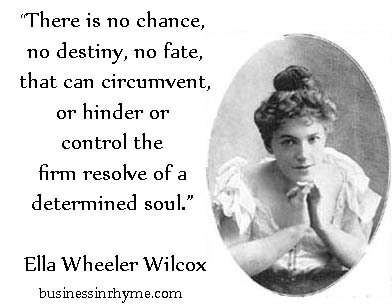 Find most suitable interpretation behind the poet’s words that is motivational for you. You will be more open to what writer is trying to tell you and you will pave your own road towards achieving self-development goals. 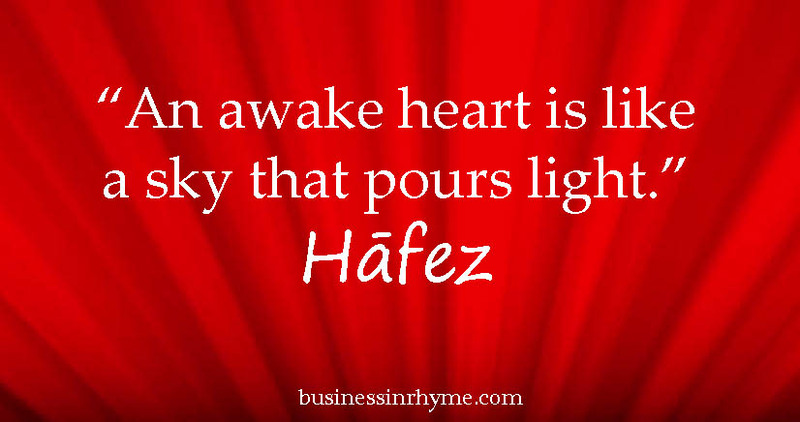 Inspired by poems, develop your own affirmative sayings. Affirmations are powerful way for us to take action. By repeating them we become more inclined to make a change – we will experience desired results only by taking timely inspired actions, where fear is replaced by curiosity about our own potentials and ego by desire to become a better person.